I am going to talk about adoption I have not done that in awhile. We live in a world where abortion happens all the time. Since I am ProLife with no exceptions, abortion is out of the question. In the Pro-Choice world, they say that abortion is safe. Abortion is never safe. Someone is always being killed. What about adoption? Adoption is a safer option and its a loving choice. I am with a few adoption groups on Facebook, and they make adoption as being a bad thing and I know why. There are adoptee’s who have had negative experiences with adoption. I want to add no parent is perfect, and no child is perfect. 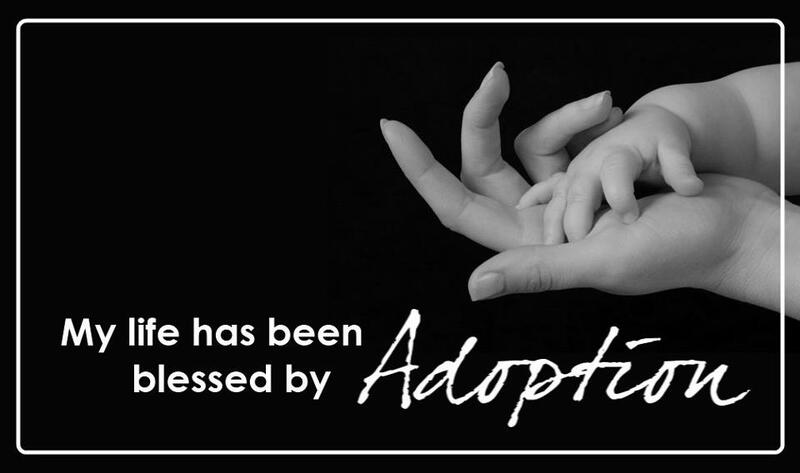 My life was blessed by adoption. I am the adoptee. I always knew I was adopted. Does being adopted bother me? Not at all. Would life be different if I were born into my family? No. Do I think about what my life would have been if I were not adopted? I don’t think about it, but I do know that it would have been different. When I talk about adoption, I always say that Adoption saves lives. It saved mine. I also say that Love goes deeper than blood. Adoption in today’s world is different than when I was adopted. The adoptions back when I was born where more “Closed” and in today’s world they are more “Open”. Today the birth mother likes to choose who will be her baby’s parents. My birth mother is a strong woman she allowed God to choose my parents, and she placed me in God’s hands and she is a hero in my life. If it were me in my birthmother’s situation, I would want to know about my baby so I would have chosen open adoption. Adoption is a life-saving option. There are couples out there that can’t have children and are praying for a baby. Adoption gives babies and children who can’t be cared for by the natural parents the gift of a family.